ROMOR I is designed for high performance, silent operation and long life. ROMOR I was engineered for low friction and noise particularly at minimal journal velocities. 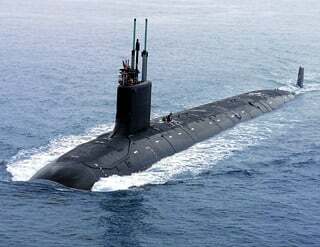 It was field tested on the trident submarine and the results were outstanding – “no bearing initiated hull noise at any speed”. The potential for squeal and stick-slip was virtually eliminated, for smoother operation. 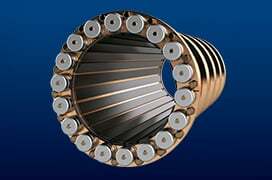 ROMOR I low friction characteristics results in better energy efficiency and a remarkable increase in bearing and shaft life. 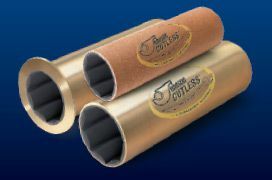 Low-friction facing specially formulated proprietary nitrile rubber is engineered with a controlled thickness, a 15 to 20 micro-inch finish and 80 durometer, Shore A, hardness. The glass-smooth face greatly reduces start-up friction and operational friction levels. The backing is lightweight and unbreakable, corrosion resistant, and eliminates dezincification. The nitrile rubber layer is integrally bonded to this high impact backing. 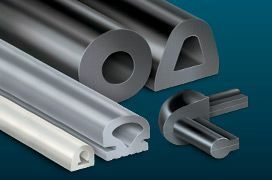 Together, this integral bond of nitrile rubber and polymer alloys acts as a vibration and shock absorber. Unlike our competition, Duramax Marine® didn’t manufacture ROMOR I in an attempt to meet U.S. MIL-DTL-17901C (SH) Class III standards. We met and exceeded the requirements using our actual production bearings. 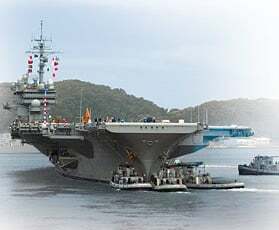 It’s why you find ROMOR I on 90% of all surface ships and submarines in the U.S. Navy Fleet, as well as many navies around the world. ROMOR I Dovetailed Bearing Staves have proven themselves at sea for decades. They are engineered for an extremely low co-efficient friction, less break-in running time, vibration dampening, silent operation and extremely long journal life. ROMOR I Staves all-polymer construction durable in gritty, dirty waters. *Normalized data based on measurement of wear. Independent laboratory test in gritty water. ROMOR I Staves low co-efficient of friction. *Note low ROMOR I stave friction values at slow shaft speeds which reduces stick-slip problems. 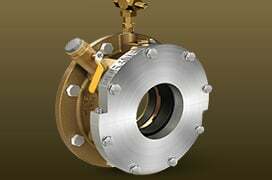 During shaft rotation a hydrodynamic “water wedge” is created, causing enough pressure to totally separate the entire bearing surface and shaft with a film of water – significantly reducing bearing and journal wear. 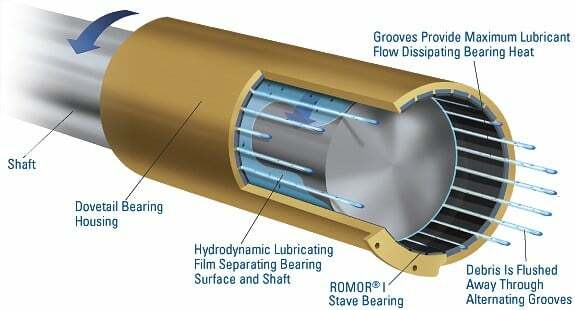 The elastic characteristic of the ROMOR I rubber bearing surface allows it to deform and form a permanent natural pocket allowing a hydrodynamic lubricating film to develop between the bearing surface and the shaft. During operation, the leading ends and trailing ends of the hydrodynamic pocket are sealed by the “water wedge” resulting in “elastic hydrodynamic” grit rejection. The inherent ability of the rubber face to deform and rebound allows abrasive materials to be depressed in bearing land surface, then flushed into grooves away from shaft. This results in minimum shaft sleeve wear and shaft damage. 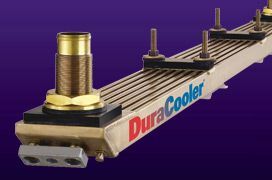 High-performance replacement for Johnson brass-backed dove-tailed staves. ROMOR I Staves are 1/4 the weight of our old brass-backed staves and can be replaced without removing bearing from shipyard, or from the vessel itself.